It can be daunting when you start your car and the check engine light comes on. But do you know what your dashboard warning lights mean? Picture the scene. You’re already running late for work. It’s cold and dark outside. 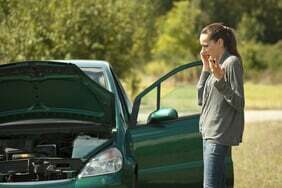 You fumble with your keys and switch on your car’s ignition, and the check engine light flashes up. If the engine’s running, stop as soon as it’s safe to do so and switch it off. Check the oil level. If it’s low, top up before going any further. If the level’s okay but the warning light doesn’t go out when you restart, stop the engine and call for assistance. Pay attention if this light comes on and/or the gauge is in the red zone. Stop as soon as it’s safe to do so, switch off the engine and open the bonnet. 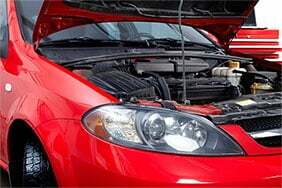 Allow the engine time to cool, then check the coolant level. If it’s low, this is almost certainly due to a leak. If there’s a big leak, you'll have to call for assistance. 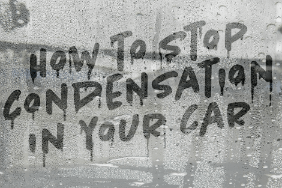 Don't add cold water to a very hot engine as this can cause serious damage. This light shows that the battery isn’t receiving a charge from the alternator, perhaps because the alternator drive belt has broken. On some cars the belt also drives the water pump, in which case you’ll notice signs of overheating and must stop and call for assistance. 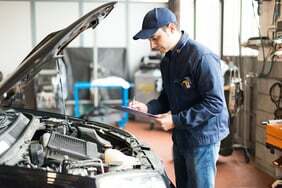 It could also mean the battery is faulty, and simply needs replacing. This may serve as a warning that the handbrake is on, but if it comes on while driving it may indicate low brake fluid level. If the fluid level is correct and the handbrake is properly released, but the light’s still on, brakes may not function correctly. 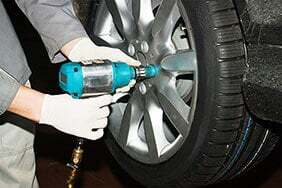 Stop at the first opportunity, bearing in mind that braking performance may be poorer than usual. The fault needs to be identified and corrected without delay, as the car won’t be safe for driving. The dashboard light indicates a fault with the car’s airbags. Get it checked by a professional as the airbags may not deploy in the event of an accident. The light could also switch on if the airbags have been turned off manually. If the light stays illuminated after starting, it can indicate a failure of the power steering system. Switch off the car and remove the ignition key for a few seconds. Then try again and if the light doesn’t go out, seek assistance as driving may not be safe. This shows that there is a problem in the engine management system. It could be a fault with anything from ignition to fuel injection. 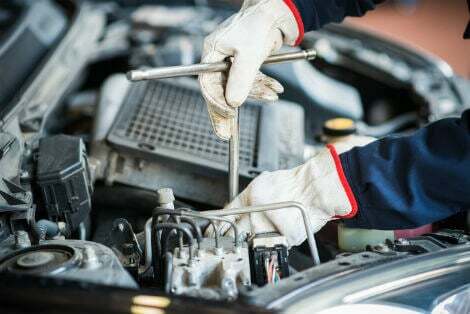 Depending on what the problem is, the engine may run roughly or with reduced power, but you should be able to drive on until you can get the system checked. However, sometimes there aren’t any obvious signs, but you’ll still need to have it checked if the light’s on. This means the anti-lock braking system isn’t working. Normal brake operation is unaffected but you could skid during heavy braking. Sometimes this light may come on for no apparent reason. If this occurs, try stopping, switching off for a minute or two, then restarting. If the light now stays out, everything is probably okay. If it keeps coming on then you need to get the system checked. This sensor monitors the amount of air in the tyres. If the light comes on and there are no immediate signs of a flat tyre, such as noise and a rough ride, it's okay to drive on cautiously. But you’ll have to check the pressures and then inflate the tyres to the correct pressure. The light will flash when the system is on, most likely caused by driving in hazardous conditions, such as rain or snow. That’s perfectly normal. 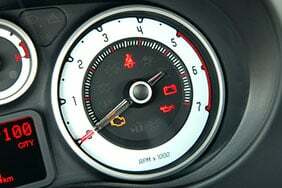 However, if the symbol’s on constantly, this could mean the traction control system has been turned off. If the light is on, and you’re sure that the system is also on, then this may indicate a failure. If this warning light or message display comes on, it means at least one brake pad is nearly worn out and you need to fit new pads without delay. If the pads wear down to the metal, you'll be alerted by a grinding noise which is difficult to ignore. At this stage braking performance is dangerously affected and serious damage may have occurred. Sometimes these symbols can vary depending on what model you have. If you're looking for warning lights for a specific model, follow the links below. For Mini dashboard warning lights once you've clicked the link you'll need to enter your vehicles identification number (VIN). To find this look at the dashboard from the outside, the VIN can be found on the drivers side. It might also be at the bottom of the drivers side door. Once you've entered this you can download the manual which will detail all the dashboard warning lights. Full details of Skoda and Peugeot dashboard warning lights can be found in their manuals too. Simply follow the links to download.